About | Genten Honten - A trading Company. Genten Honten is a Trading Company that generally import materials and conduct product planing. 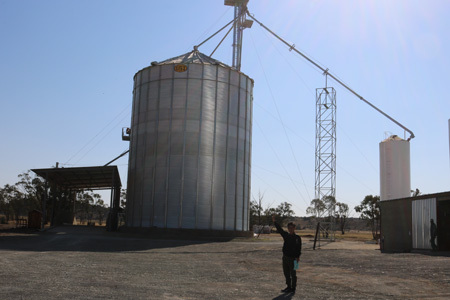 We cherish the connection with local producer, and do the dealings directly without going through distributor. By doing so, we can do better confirmation of safety and security, Our company will only offer product that we believe are great in quality. 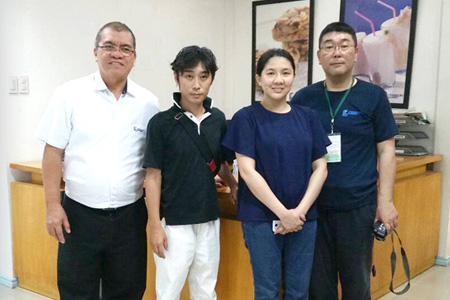 with motto: "safe.secure food materials for everybody"
Genten Honten have a commitment on thorough safety and security , also make sure "Japanese staff will go directly to production areas and do the quality control." We will take caution on what kind of area, producers and all other aspects that connect to the product. Our Japanese Staff will steadily communicate with the producer staff, and both cherish the relation. 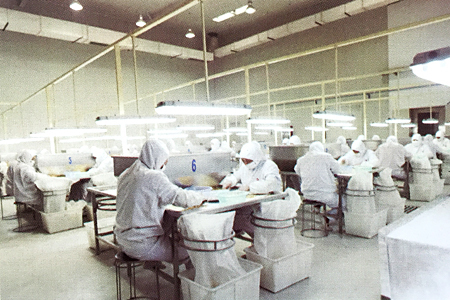 A thorough sanitation management in Production plants. Directly meet the staff, check either the production system for safe.secure is well-equipped or not. We invited local producers to our office and have a meeting with them. Genten Honten put emphasis on direct communication with our supplier in order to get safe and secure raw materials. 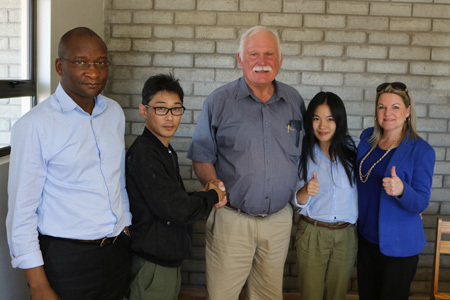 Genten Honten made agreement with the trader from local farmers and signed an agreement on several agricultural products in Africa. Teff that we bought this time. 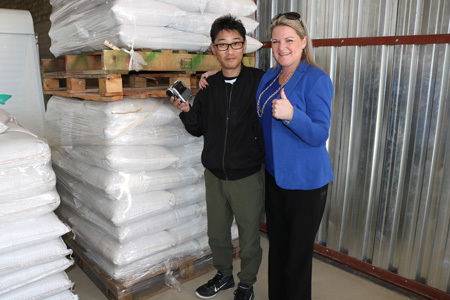 We have signed an agreement with Teff dealers for exclusive sale in Asia. 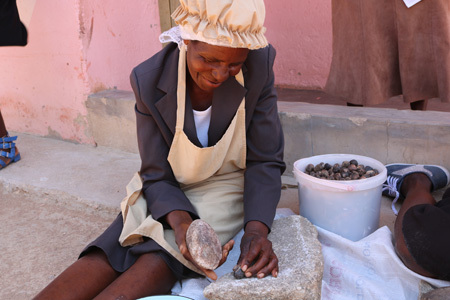 Process of “Marula Nuts” been taken out from the seed which could be consume directly or becomes the raw material of Marula oil which we sell. 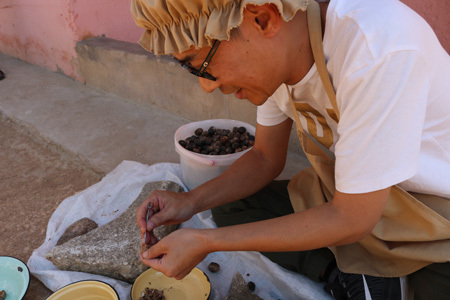 Our Director, Mr. Iseki takes Marula cracking challenge! A visit from our Teff supplier from South africa. NewsIt will deliver Genten Honten's business information and Product Information. 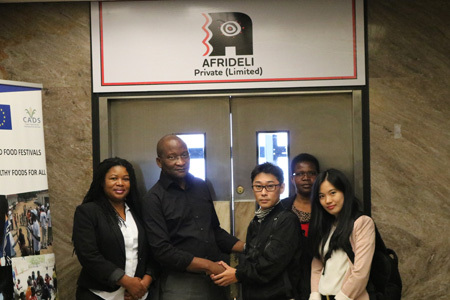 2016.08.29 We went to inspect the management of our African products and got a warm welcome from the local people. Please check our video when we visited them on YouTube. 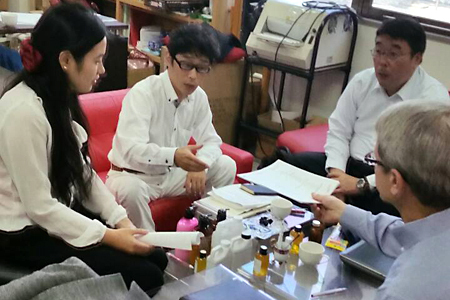 2015.10.23 Genten Honten had a meeting with the local supplier company. Please see the information page for more details. 2015.07.30 Genten Honten's official website has been published! Copyright © 2019 げんてん本店 (Genten honten) – 安心・安全の食品原料を輸入する会社 All rights Reserved.